The Pacsafe Vibe 25L Backpack is an agile anti-theft backpack that is 15" Laptop compatible with security features like RFIDsafe blocking pocket, eXomesh anti-theft slashguards, slashproof Carrysafe® shoulder strap, PopNLock security clip for enhanced security. The backpack also has extra features like a hidden pocket along with external attachment points for items such as jackets, yoga mats or sleeping bags & the shoulder straps are made to allow good airflow through, sternum strap along with a pen loop & water bottle pocket. It's top-tier construction combined with anti-theft technology will keep up with any adventure & keep your valuables secured. The internal organization created enough room for your 15 inch laptop, means you can fit all your gears into the internals pockets provided. The Pacsafe Vibe 28L Backpack - Granite Melange has many exciting features for users of all types. 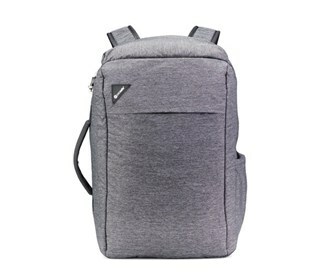 See the Pacsafe Vibe 28L Backpack - Granite Melange gallery images above for more product views. 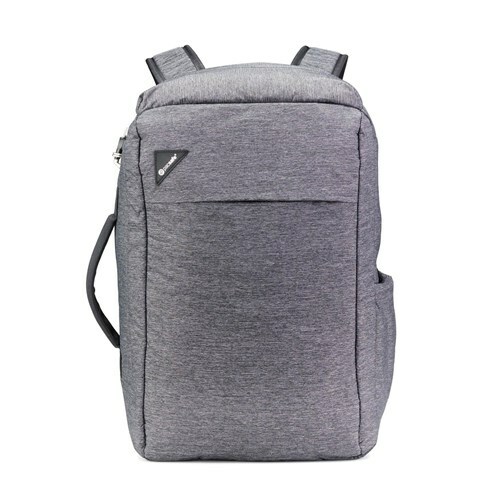 The Pacsafe Vibe 28L Backpack - Granite Melange is sold as a Brand New Unopened Item.